A pharmaceutical company has inked a licensing agreement with the National Institutes of Health (NIH) to develop, test and possibly sell cannabis-based drugs for use in treating head trauma. Under the agreement, KannaLife Sciences will research CBD and other cannabis-derived treatments for chronic traumatic encephalopathy (CTE), a degenerative brain condition most common among athletes who played contact sports. The disease has received widespread press in recent years in relation to the long-term health of retired professional football players. NIH has not publicly commented on the arrangement. KannaLife – based in New York – won approval from the NIH several years ago to conduct research on potential treatments for ailments tied to liver issues. This is HUGE for MJNA, Medical Marijuana Inc,who own Kannalife. 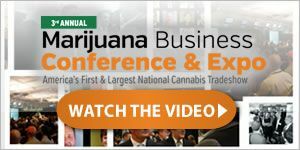 MJNA with their hempmedspx CBD products and now with their Kannalife/NIH agreement has reached mainstream! MJNA for the win! I’ve used the products from HempMeds and they are fantastic plus they shipped quickly. There is a special airing Sunday August 24, 2014 at 10pm EST 7pm PST On AWE TV – Journey To Health featuring the stories of families thst have been using these products.